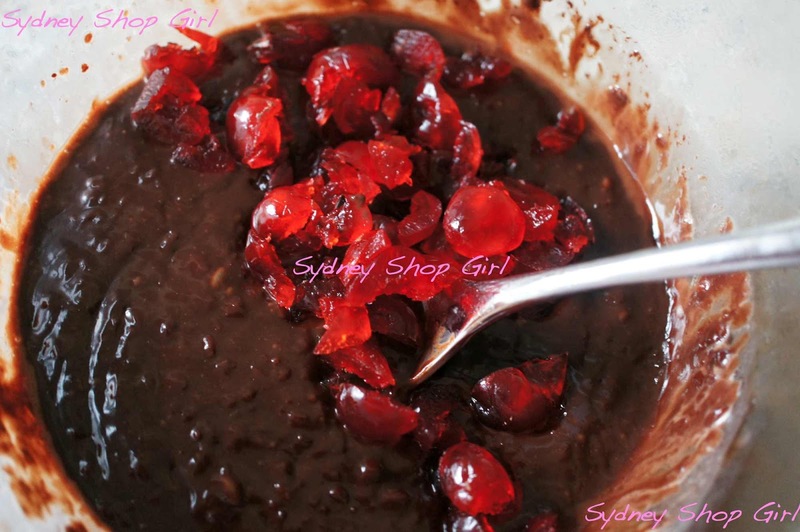 Sydney Shop Girl: Jar-Dazzled Moccona. Cut Priced Connoisseur. Thank you for your thoughts and tweets today. Everything appears to be going to plan with the tests and the interview went well. It's about time good things came in threes, don't you think? That third good think being the SSG fourth wedding anniversary. Neither of us knows exactly where all that time went but we've had fun (and high emotion) together as it sped along. 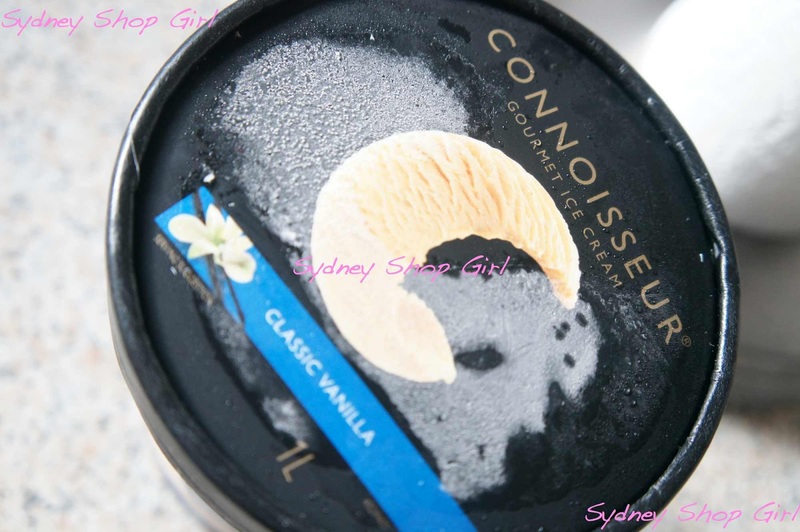 Vanilla ice cream - the ultimate comfort food. We decided a celebrate with a night in. Preparations for dinner began yesterday and consisted of an eventful visit to the supermarket. There was a $7 special on cartons of Connoisseur ice cream at Coles and there was only one Classic Vanilla left. At the very back of the second highest shelf in the freezer. It took a yogic side bend and some intense channelling of my mind body connection but I managed to get that carton out of the freezer and into my trolley. 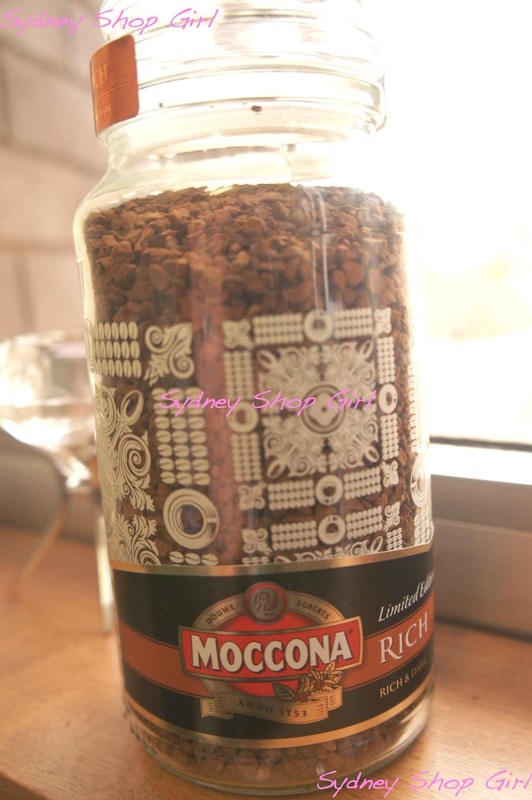 A retro looking shot of my jar-dazzled Moccona, on standby for 0753 cuppa service. There was more fun in the instant coffee aisle where the Moccona appears to have been bedazzled or should that be jar-dazzled. It's limited edition jar-dazzling so run, don't walk. My idea for dessert was to serve the ice cream with a home made topping. 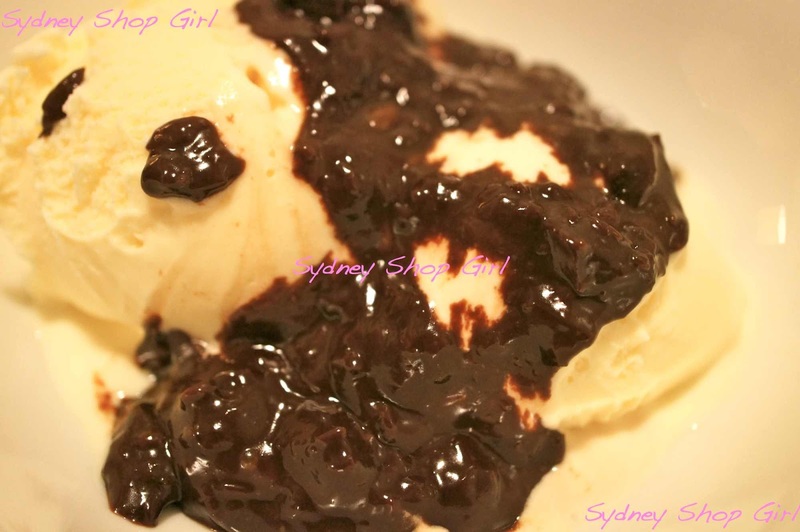 I found this series of dessert sauce recipes and decided to make the Cherry Ripe sauce. A decadent dessert that's 100% microwaveable is just the thing for a mid week special dinner. The original recipe makes 2 cups of sauce, I halved the ingredients for tonight. Also, I think it's wise to use the suggested thickened cream rather than the pure pouring cream I used because the former would make a smoother sauce. 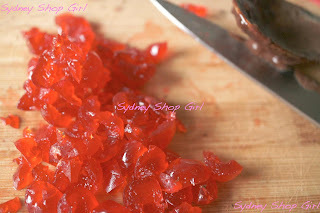 Firstly, chop 10 glace cherries finely. Set aside for later. 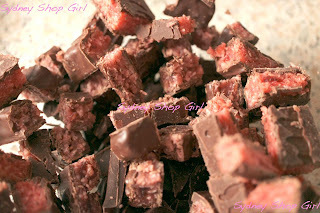 Resist the urge to snack as you prepare the Cherry Ripes and dark chocolate. I used one each of the original and dark cherry bars as well as 50g of 85% cocoa Lindt. 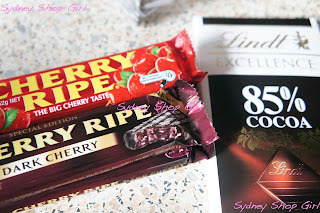 Look at that Pyrex bowl full of chopped Cherry Ripes and Lindt. Isn't it gorgeous? To the mixture of chocolates, add half a cup of cream. Microwave on 75% for a minute and stir with a metal spoon. Repeat. Mix in the chopped cherries and allow to cool whilst you do something virtuous like eat dinner. 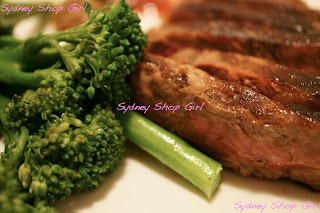 Which at SSG Manor this evening was steak and broccolini. Don't you always feel ready to take on the world after a good steak? Ugly is just my way with ice cream, I'm afraid. Perfect globes with an ice cream scoop are beyond me. I don't think I practice enough. Anyway, looks aren't everything. A couple of tablespoons of sauce per scoop of ice cream is a good ratio to start with. It's generous but responsible at the same time. The sauce keeps in the fridge for 2 weeks so don't feel like you have to eat it all in the one sitting. That sauce might look ugly... but my LORD I'd kill for some of it right now!! So glad your world is bubbling along well at the moment SSG. swooooon. Am a Cherry Ripe gal from way back, this sauce is on the agenda. Yummo! Yummo! Yummo! from the dieter here! Gotta loove a simple treat! Glad the interview went well. Loving the look of the cherry ripe sauce. It my well get a guernsey at The Farm House soon. I'm so glad that everything seemed to go well for you, SSG and many congratulations again on your wedding aniversary. 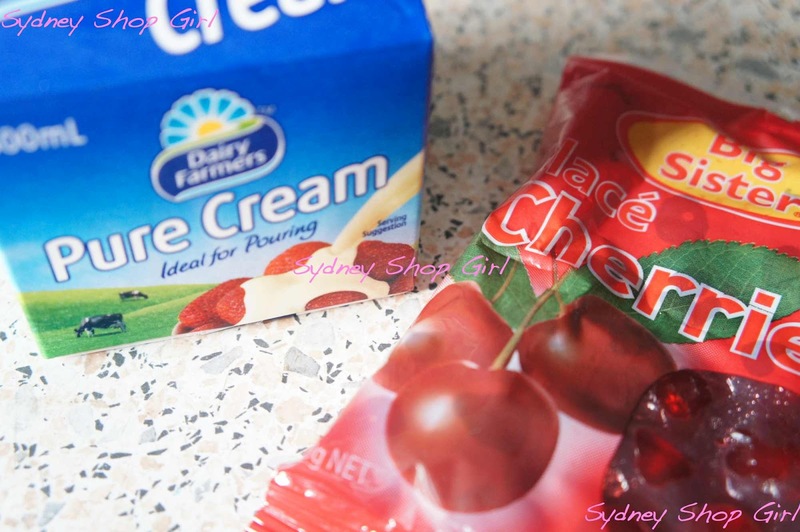 I'm not a Cherry Ripe fan, but my husband is, so I might have to request a package to be mailed to us so I can replicate this sauce for him! Congrats to you and Mr SSG on your anniversary! 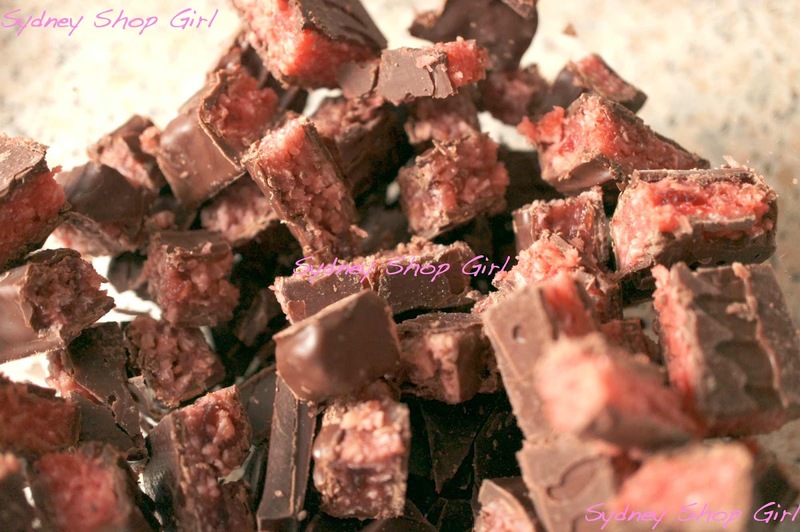 Oh and thanks for the Cherry Ripe sauce recipe, I will be making this tonight for the crew here!